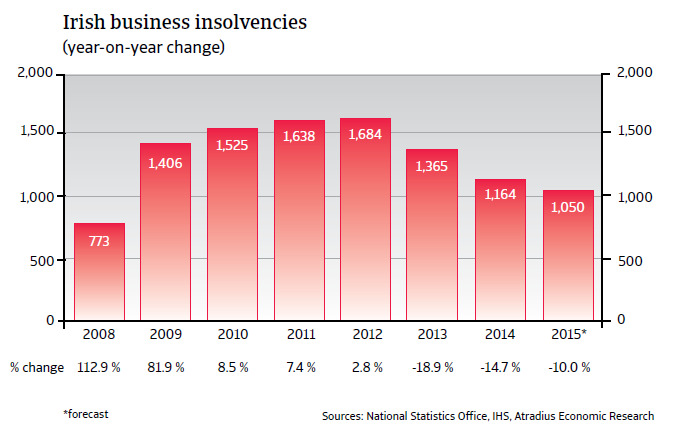 After six years of subsequent increases, Irish business insolvencies finally started to decline in 2013. This trend is expected to continue in 2015. 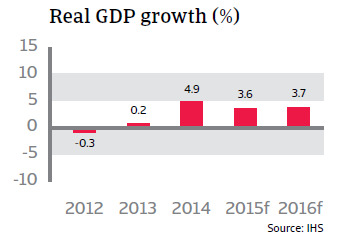 The Irish economy grew by 4.9% in 2014 – a particularly strong performance compared to the rest of the eurozone. The rebound is mainly due to a 12.2% increase in net export growth of goods and services, triggered by a reduction in wages, but also to a drop in domestic demand for imports. Government spending and private consumption growth also contributed positively – although to a lesser extent. 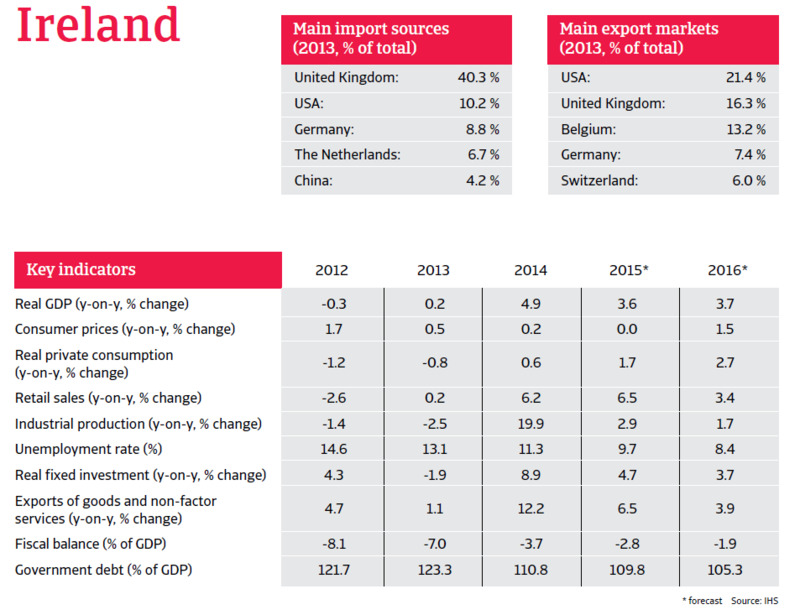 In 2015 a GDP growth rate of 3.6% is expected, backed by exports to the US and UK where demand is picking up. Private consumption is expected to increase further, but remains hampered by high unemployment and limited wage growth. Unemployment continues to decrease, however, to an expected rate of 9.7% in 2015 after being higher than 14% in 2011 and 2012. 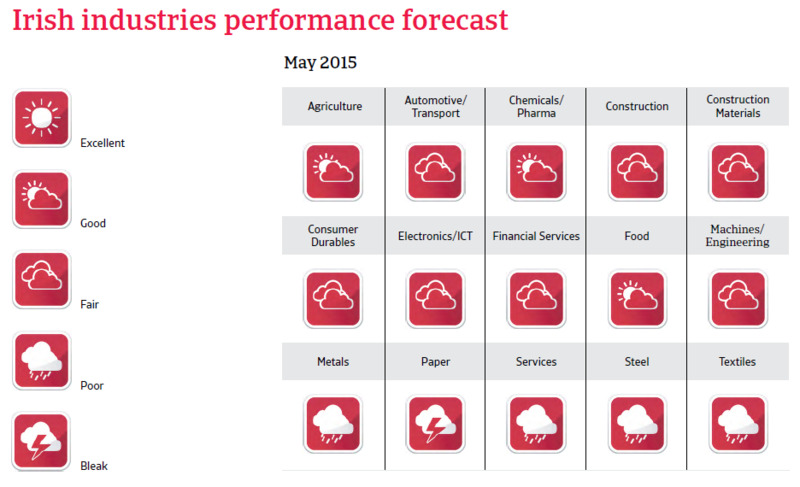 Notwithstanding the recovery, Ireland continues to face significant challenges. 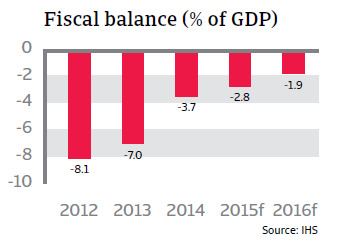 Despite yearly decreases since 2012 government debt remains high, at 110% of GDP in 2014. International investors seem to appreciate the efforts of the government to reduce the public deficit and have regained new trust in the (long-term) sustainability of public finances. Private debt levels also remain high, putting constraints on consumption growth. And while the banking sector is recovering from the near-collapse in 2010, it still faces large residential-mortgage arrears and impaired loans to smaller businesses. That said, house prices stabilised in 2013 and recorded a marked rebound in 2014, helping to improve the balance sheets of financial institutions and households. A continuation of the real estate market recovery is an important prerequisite for the sustainability of Ireland’s economic recovery in the future. 28% of the respondents in Ireland, compared to 18% in Western Europe, reported that maintaining adequate cash flow is one of the biggest challenges they will be facing in 2015.